As crowds gather today on the Mall in Washington, DC—on the occasion of the fiftieth anniversary of the March on Washington for Jobs and Freedom—we remember that participants in the March came from all parts of society. 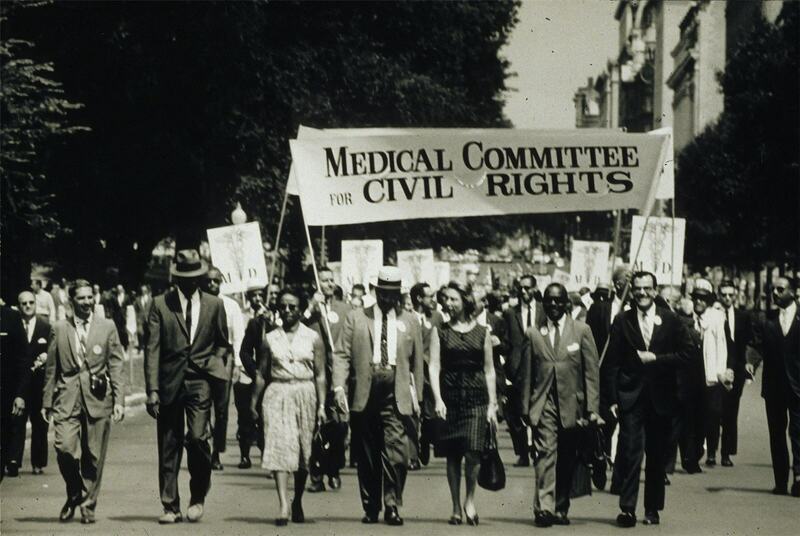 In this photograph a contingent of medical workers, doctors, nurses, and others march under the banner of the Medical Committee for Civil Rights (MCCR). The MCCR was a short-lived organization, initially formed by physician Walter Lear to protest the AMA’s policy of non-integration at its annual convention in Atlantic City in 1963. Following that protest, Dr. Lear brought together over 200 health care workers to join the March on Washington. While the MCCR disbanded shortly afterwards, it gave rise to the Medical Committee for Human Rights, which formed in 1964 to support volunteer medical workers providing care to civil rights workers, activists, and volunteers working on the Mississippi Summer Project, known as Freedom Summer, a volunteer project organized by by the Council of Federated Organizations (COFO), a coalition of the Mississippi branches of the four major civil rights organizations (SNCC, CORE, NAACP and SCLC) to register African American voters in Mississippi. It’s great to see this recognition of Walter Lear’s valuable initiative and the service of health professionals in the civil rights movement. But an important correction is needed. This calls Mississippi Freedom Summer a “federal project.” As is widely known, it was a project of the civil rights movement – SNCC, CORE, the SCLC and the NAACP. Thanks for your comment. You are perfectly correct. I’ve updated the text with the correct information. Thanks for reading. 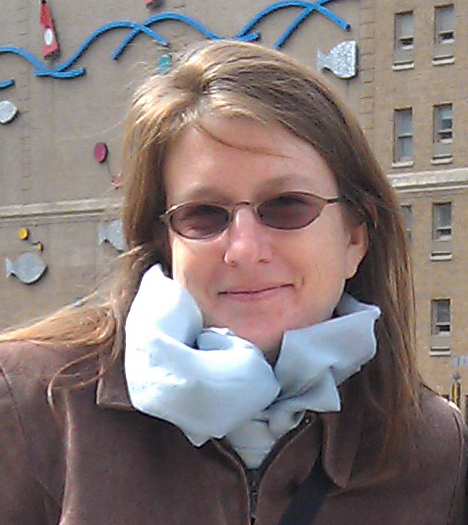 Glad to find this site – and glad to help!